Business partners teamwork or friendship concept. 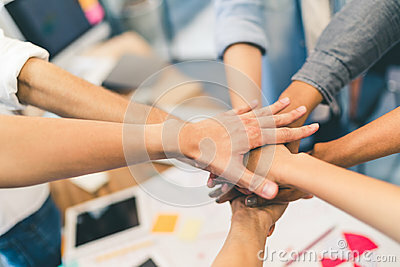 Multiethnic diverse group of colleagues join hands together. Creative team, coworkers, or college students in project meeting at modern office.